I think the lowest moment was this morning as I stood in one of those long, snaking security lines in the Delta portion of Terminal 3 at JFK International Airport. The high ceiling has pigeon nests in it, and the evil birds occasionally fly over the helpless travelers below and poop on their heads. Throughout this journey we were accompanied by people who just want to get home to their families for the holidays. Here’s to their safe and successful travels. A street scene outside our hotel in New York. 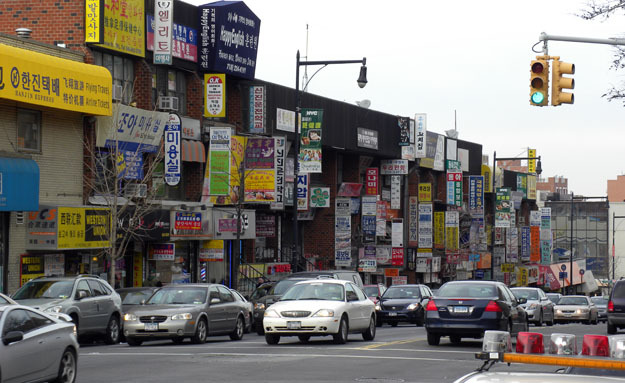 FLUSHING, QUEENS, NEW YORK–It seemed like such a good plan months ago. My Senior Independent Study student Megan Innis and I worked this summer in the American South with Paul Taylor and Caroline Sogot, as documented in this blog. 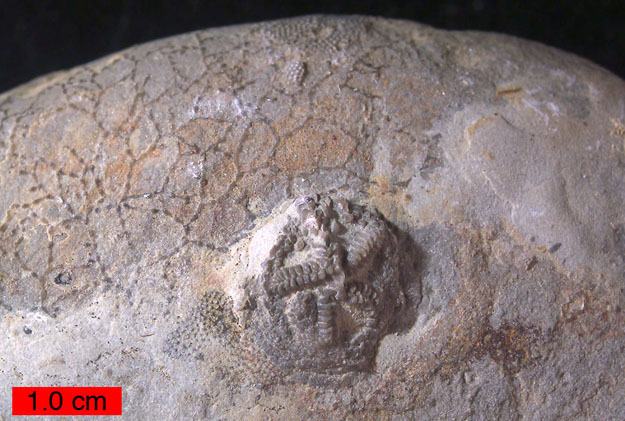 We collected hundreds of fossils from the Late Cretaceous and Early Paleogene, many of which are encrusted with nearly perfectly-preserved bryozoans, serpulids and foraminiferans. 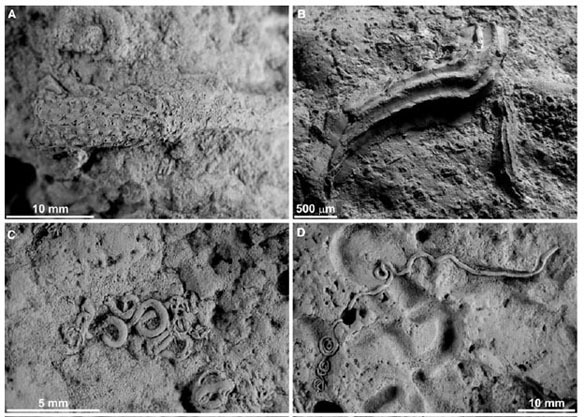 The best way to study them is with a Scanning Electron Microscope (SEM), and the world’s expert in such paleontological imaging AND bryozoans is Paul Taylor himself. Since Paul is at The Natural History Museum in London, we planned to take our best specimens to him after classes were over in the Fall and before Christmas. That was the plan — and it still may work out! Somewhere over Halifax our flight was diverted from London Heathrow because an epic snow and ice storm closed the runways. Delta flew us into JFK International Airport and put us up in a hotel in the middle of Flushing, Queens, New York City. Our flight will be reconstituted this evening and we’ll try again to reach London (and get out on Thursday, we can only hope). We are persevering because this is an important part of Megan’s I.S. project (for which she received Copeland Funds from the college), the fossils we bring will be significant for Caroline and Paul (and they have some for us), and I’m also hand-delivering a set of type specimens from the Permian of Texas. So in the interest of science and education we will soldier through! In the meantime we are staying in a fascinating neighborhood. It certainly is one of the most diverse places on Earth as it has a colonial understructure (going back to the 17th Century Dutch) and added layers of culture through the centuries. We would have never guessed we’d be wandering its streets today! 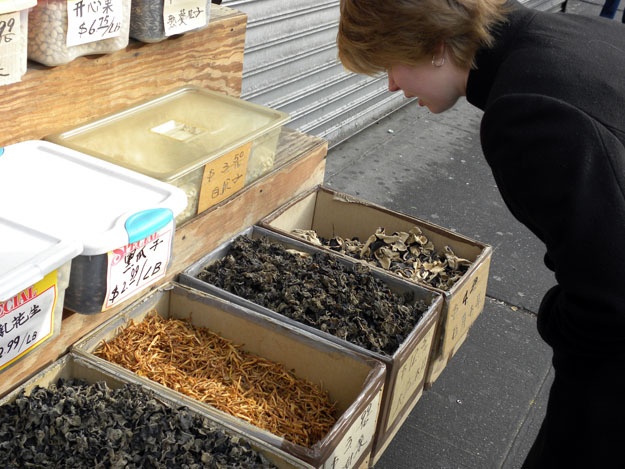 Megan examining dried mushrooms and other unknown items outside a Korean-American grocery store in New York. We even found a bit of geology to discuss in a World War I memorial. Geology is everywhere. 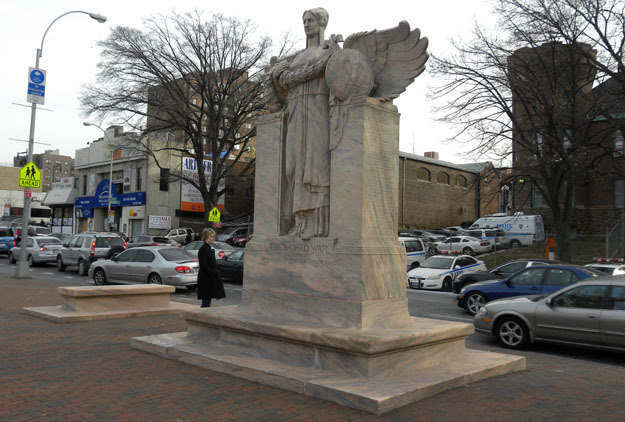 A 1920s marble memorial to World War I soldiers in Flushing, Queens, New York City. This marble is odd because it has layers rich in muscovite mica. When Megan pointed these out I didn't believe her, but she was right. 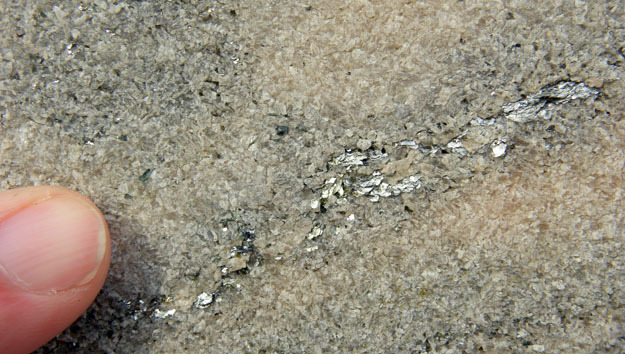 There are also inclusions in the marble that look like hornblende. 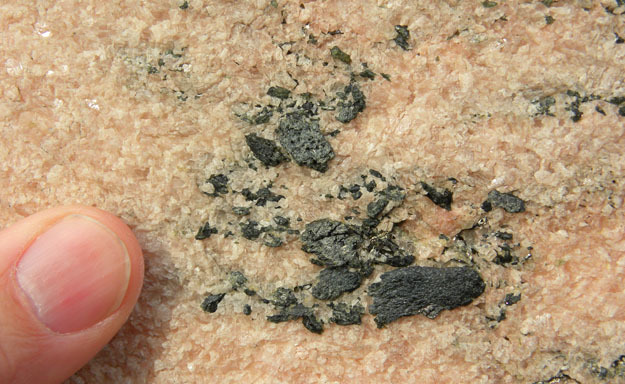 Our petrologist Dr. Pollock will have to figure this one out for us! Now that the semester is winding down and the cold weather has set in, I find my mind wandering back to the beginning of the academic year. 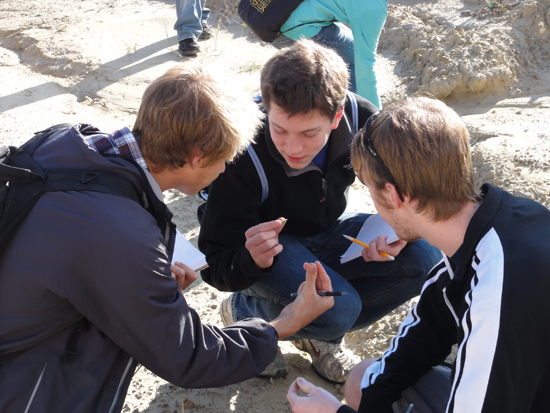 It seems like it was years ago, not months, that our Mineralogy class visited Zollinger’s quarry. 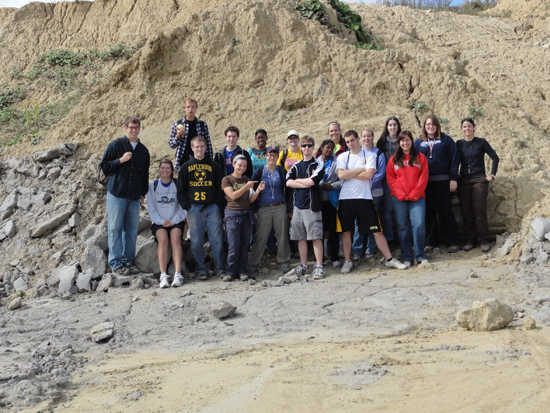 2010 Mineralogy class at Zollinger's Quarry in late September. 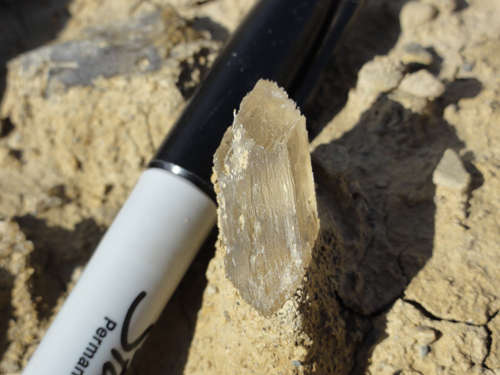 It didn’t take long for students to discover the beautifully formed gypsum crystals that littered the ground. From left to right, Will Cary, Matt Peppers, and Kevin Silver caught in the act of discovering the gypsum. Truly, these are beautiful gypsum crystals. In fact, next week we’re using some of the crystals that we collected in our discussion of the thermodynamics of crystal nucleation and growth. 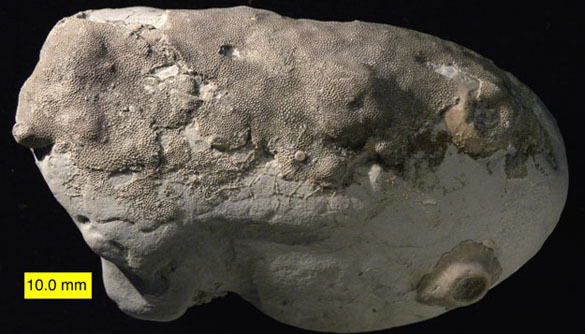 Of course, the minerals weren’t the only stars of the show. 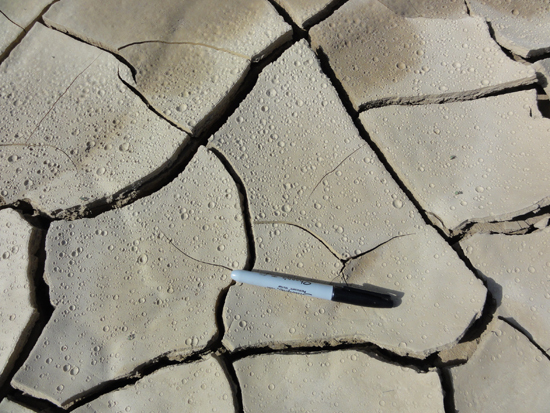 The students were excited to find these incredible mud cracks with preserved rain drops – comparable to these mud cracks that a fellow geologist at Mountain Beltway observed in Turkey. Mud cracks and preserved rain drops in Zollinger's Quarry. Mount Ngauruhoe on the North Island of New Zealand. Our most distant Wooster Geologist this year, Andrew Collins, is now home from his semester abroad in New Zealand. He had many geological adventures, including that massive earthquake in Christchurch with its hundreds of aftershocks. Please visit his blog for the stories. 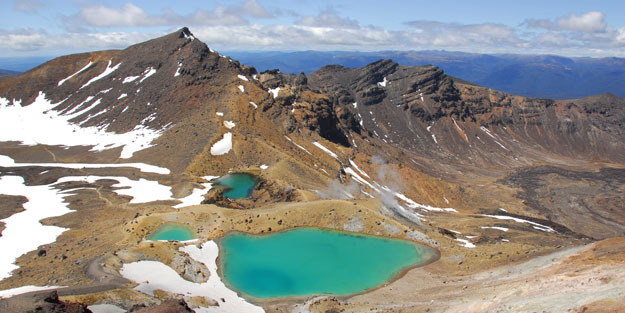 Andrew’s last trip in New Zealand was to Tongariro National Park (a UNESCO World Heritage site) on the North Island. He had, as he wrote, “a spectacular trek” of 20 kilometers between two volcanoes: Mt Tongariro and Mt Ngauruhoe, with a third volcano, Mt Ruapehu, always in view. Mt Ngauruhoe was, as you might have guessed, used as “Mount Doom” in a certain movie series the New Zealanders make a fuss about. Please enjoy Andrew’s beautiful photographs in this post, and then go to his blog to see them and many others in full size. We are very proud of this Wooster Geology odyssey, and we are also happy to have Andrew safely home! You can just barely see Andrew as he climbs to the summit of Mt Tongariro. Note the bright red layers of volcanic cinders. Mineralization along a stream flowing through this active volcanic region.